Beginning your 2019 Homeschooling Year! As the new homeschooling year begins - I wonder how you are feeling? Anxious, excited - keen to get going? Wanting a longer holiday? Wondering if you might try something new? Wondering if you'll keep going? With the beginning of a new year, (true... it's almost the end of January...) I hope you have a build up of excitement of what might be possible this year; of new opportunities; of where God will be leading you! I'm excited ... and looking forward to spending the year with you. Theme of Ezine: Where are you headed? At the beginning of a new year, it's a great opportunity to consider where you might be headed. Setting Goals is a big part of my site, but I do recognize that this is not always easy to do. However, I do believe that it is good to sit and consider what your year might look like. I know you might be busy and the year has already started ... but have you considered your own 2019 goals? Even though you may be in the thick of homeschooling - can you take time to think about what YOU might like to do..
Will you learn an instrument? Will you try to have a date night with hubby once a month?? And what about where you're headed with your homeschool in 2019? Will you try a new homeschool curriculum? Will you set yourself a challenge to read more books together? Will you have more 'wild' days? Add nature walks to your routine? Set up a better morning routine? 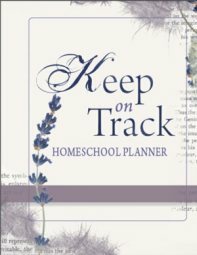 Whatever it might look like - it's a good idea to mull about it and write out where you would like to head this year in your homeschool. 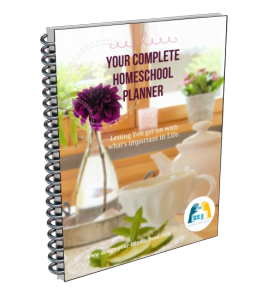 When I was in the full swing of homeschooling, each January would be the time that I would create my new homeschool planner. I'd choose materials, make a schedule and set out new ideas of my ideal day. I know, "ideal days" don't happen all the time, but I still would plan and set an expectation in my mind. Of course, that means that right next to the 'expectation' is going to be the rather BIG possibility of 'failure', but it really is your attitude to it all. The challenge is to keep the ideal - but be realistic at the same time. 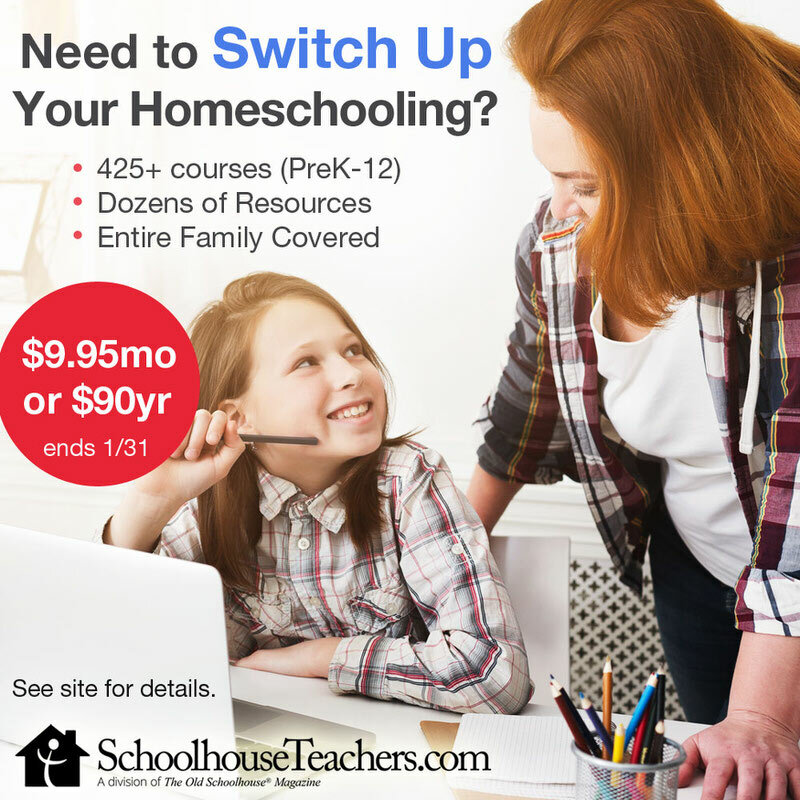 I don't broadcast every homeschool offer that comes around (because I'm really picky..) - but I do believe that SchoolhouseTeachers.com really makes life easier. This yearly subscription includes so much for your entire family over the whole year -at such a reasonable price! View the video above to learn more about the SchoolhouseTeachers Sale. So, if you are looking for fresh ideas to spark new life into your homeschool for this year - you will love the great New Year's sale at SchoolhouseTeachers.com. What I really do love about SchoolhouseTeachers - is that you can receive access to over 425 courses for the entire family for the full year. (also includes a Physical Education course!) There are all sorts of tools and tips and even ways you can get organized. 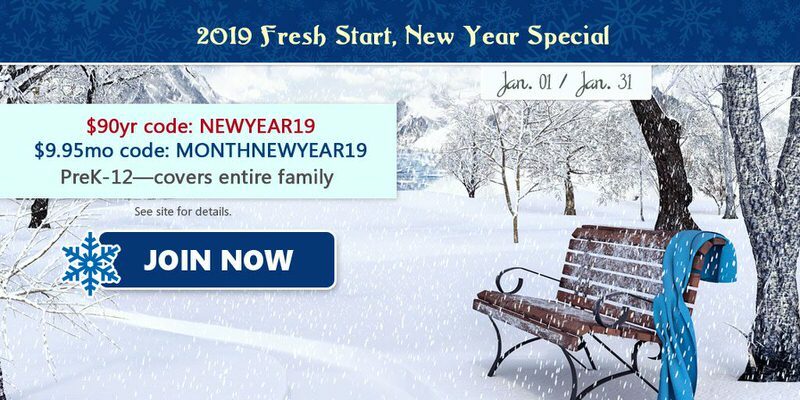 It is an amazing price - membership for ONLY $90 (coupon code NEWYEAR19) — or if you prefer, pay ONLY $9.95/month (coupon code MONTHNEWYEAR19)— that’s 50% off the regular rates! PLUS, you can receive every print issue of The Old Schoolhouse® Magazine free with membership — Winter 2018 issue ships automatically, along with “10 Ways to Bring Up YOUR Little Man/Lady” motivational tip card. Rates never increase during the life of your membership. But act fast — Sale ends January 31, 2019! Personally, where am I headed in 2019? Well - it's taken me a while to acknowledge this - but my hands-on homeschooling days are over! So - for one thing, I am planning to spend more time updating, renewing content, adding new courses, pages and information to my website. I am wanting to be more faithful in delivering the very best content to you - to my readers who are still in the busy times with busy homeschool schedules! How can I help? I really want to know so I can make sure that I am benefiting you! Next - I am starting to empty out my homeschool books and resources. How do you decide what to keep? What to throw away? What to pass on? I'm excited for my subscribers - as I have lovely new ideas for 2019... to add for subscribers only..
"Designed for .... "monkeys," who are willing to work on themselves, work to develop their business creativity, and work on coming up with innovative ideas ... and are ready to enjoy the very real benefits of that work." Is that you? Or your children? 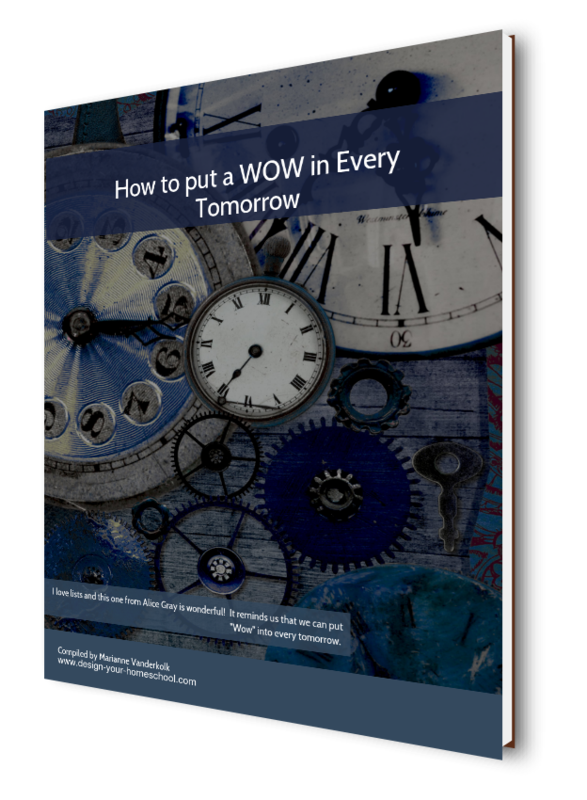 If you're looking to put a Wow in every Tomorrow - check out the quotes in my Flip Book on the right. As I contemplate how to teach creative thinking I am asking the question: As home educators - how do we ensure that we are producing thinkers - how can we make sure that the curriculum we use is focusing on skills and techniques and not just on content? Have a great beginning to 2019!